Removal is one of the most stressful events in one’s life. It’s only natural to remember some tasks but completely to forget about others during this hectic process. You will probably feel overwhelmed with planning and preparation so it is possible to overlook few details and completely forget to run some errands. However, bad memory and forgetting can result in wasting money and your precious time. In order to prevent this and avoid any unpleasant situations, we bring you a list of things people usually forget during a relocation process. Check them out. To make sure you haven’t overlooked anything important during your removal, you need to come up with an effective moving strategy that will make you organized. 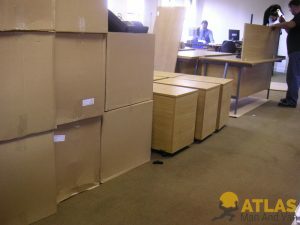 An effective moving strategy will enable you to complete all moving tasks timely and efficiently. It should include a moving budget and a moving checklist. You need to have a moving budget in order to keep track of your expenses and plan your finances. And a moving checklist will guide you to complete all moving task on time, before a moving day arrives. Packing preparations and actual packing is a task you should pay more attention to. This is when you overlook some details that can cause you headaches later on. If you are packing on your own, first you need to know what you are packing. To avoid moving all necessary items, make sure you sort out your belongings and declutter first. Removal is a perfect way to do that and get rid of items that only collect dust. Then, it will be easier to get on packing. Make sure you do all necessary preparations before you actually start to pack. Obtain all necessary packing supplies, boxes and other items. Then make sure to wrap items appropriately, seal boxes safely and tightly. Be extra careful with fragile items. Make a plan how to move specialty items. And most importantly, don’t forget to label all your boxes. Forgetting this is a mistake that can have a great impact on the final outcome of your removal. If you have children, it is important to keep them away during the moving process and especially on the moving day. Since it will be challenging to take care of your kids during this hectic process, you should have your friend, a family member or a babysitter take care of them. You will know that they are safe so you can focus on your tasks. Before you lock that door and leave your old home, it is important to recheck everything. No matter how pressed for time you might be, make sure you double-check everything. Go through every room of your house, the attic, garage, basement, the garden and other places inside and outside your house. This way you will ensure that you don’t unintentionally leave something behind, some precious item perhaps. This is also a nice way to say a final goodbye to your home and all the good memories.